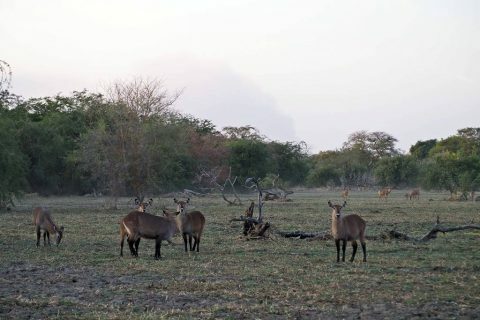 Chad tour:Trip to Zakouma National Park in 9 days. Price 2.200€. 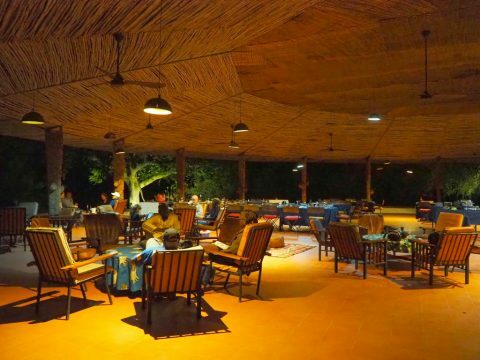 Live an old safri trip experience in an authentic Africa. 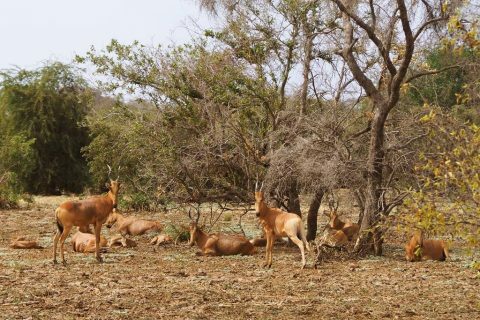 Zakouma National Park and, by extension Chad, are out of the established touristic circuits of safari . The noticeably increase in the number of animals and the excellent management by African Parks have turned Zakouma into a stimulant alternative for travelers looking for different “sensations” from those of a conventional safari in eastern or southern Africa. Chad is one of the most unknown and fascinating countries in the world, a destination for safari enthusiasts and unconditional lovers of adventure who already know other parts of the African continent and want to go a little further, and live an old trip experience of safari, in an authentic Africa where tourism has not emerged. Zakouma National Park, considered widely as one of the most important protected areas not only in Chad, but throughout Africa. In this 9 day trip to Zakouma we will visit one of the most important protected areas not only in Chad, but in all Africa. Zakouma is characterized for having two marked rainy and dry season. The rainy season goes from June to November and during these months the area of the park is mostly flooded making impossible the visit to the Park. The dry season includes from November to May. In the first months of the dry season, the landscape remains green, temperatures are pleasant and wetlands and rivers overflow with water. From February onwards, the landscape becomes yellowish, dry and dusty, temperatures rise and the water level drops or disappears. It is in this season when the observation of wildlife is fascinating because mammals. reptiles and birds are concentrated in the few waterholes that remain. 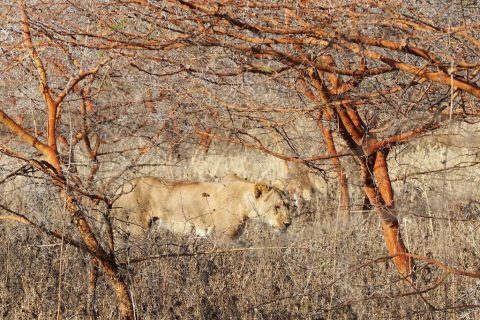 In the month of April temperatures can be very high and the heat stifling but it is certainly the best month to see the wildlife offered by Zakouma. This National Park is the great sanctuary of central and western Africa for a wide variety of animal life. The reserve is home to 66 species of mammals, 16 of which are big mammals. Other notable species is the kordofan giraffe, of which 50% of African population is in the Park. 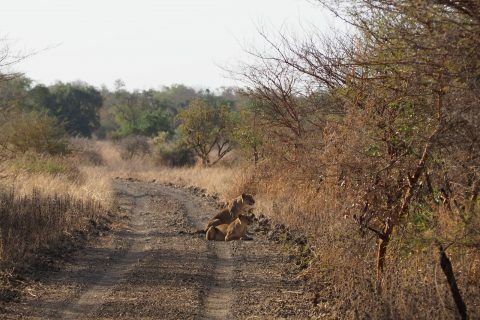 Zakouma is home to large carnivores, lions, leopards, cheetahs, spotted hyenas, striped hyenas and wild dogs as well as small predators like musk cat, caracal, jackal, serval, wild African cat, pale fox and honey badger. Zakouma is famous for its big herds of buffaloes and elephants and is an authentic paradise for birds with a total of 388 species. For four nights we will stay at the Tinga Camp. 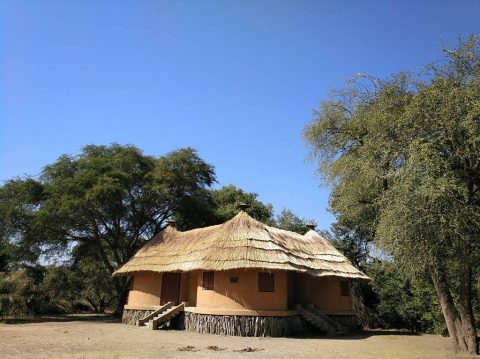 This camp offers simple and correct rooms and is a great place to rest and recover between safari and safari. 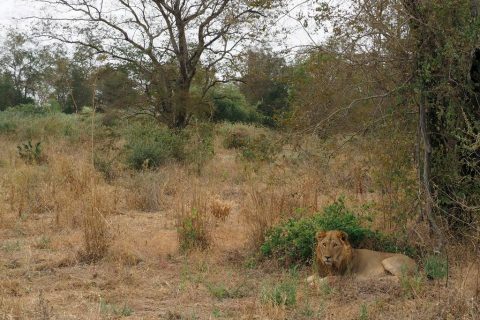 With no fences, the Tinga Camp is open to any kind of visit from the residents of Zakouma, like an elephant hyena or even a lion to come and browse the camp. The Zakouma National Park is 860 km from N'Djamena and it takes two days to get there. Equally interesting is the road to the park, the journey from N'Djamena to Zakouma is completed in two days, we camp in the middle of the Sahel, stopping to observe the life of local ethnic groups in this fascinating part of Africa. Chad is a country with little or no tourist infrastructure, so it will be necessary to camp on the way to and from Zakouma. Arrival in N’Djamena, capital of Chad. Transfer to the hotel in local taxis, free day to visit N’Djamena. The passport will be given to the tour organizer to register with the police. Registration fee included. On the way to Zakouma National Park, we stop for the night in the beautiful mountain region of Guéra surrounded by granite inselbergs. Enjoying the beautiful arid landscapes of the Sahel, we continue our journey to Zakouma for 300km. On the way we may meet some Arabic Rouge nomads or visit some weekly market if it’s a market day. Entrance fees to Zakouma N.P. Full board (3 meals per day) during your stay in Zakouma N.P. 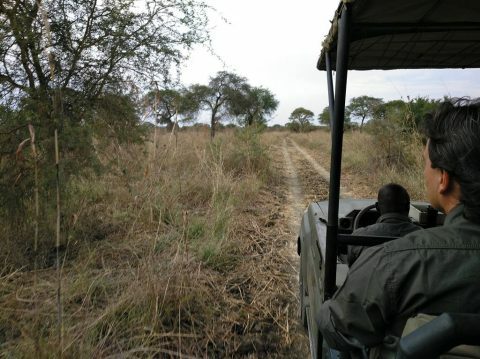 2 safaris a day in a special safari vehicle, 3 or 4 hours each.